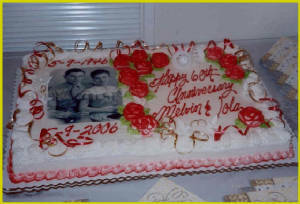 Melvin and Iola Amelunke celebrated their 60th Wedding Anniversay with their family and Post 63 and Unit 63 friends and comrades. 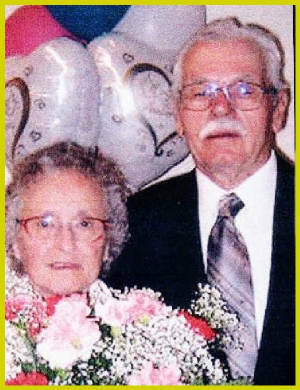 Their family includes five sons and wives, three daughters and husbands, fifteen grand-children, and five great-grandchildren. The Ladies Auxiliary cooked a wonderful dinner. 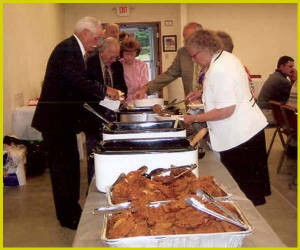 The meal included kettle beef, fried chicken, mashed potatoes, green beans, corn, slaw, and (of course)cake. An Anniversary Dance started at 7 O'clock with lots of friends and relatives present and about 125 persons attending.